If you are looking for a tool for compressing jpeg (jpg) images, the OptiPic service is exactly what you need! OptiPic service helps to fully automate the compression of jpeg images (png as well). 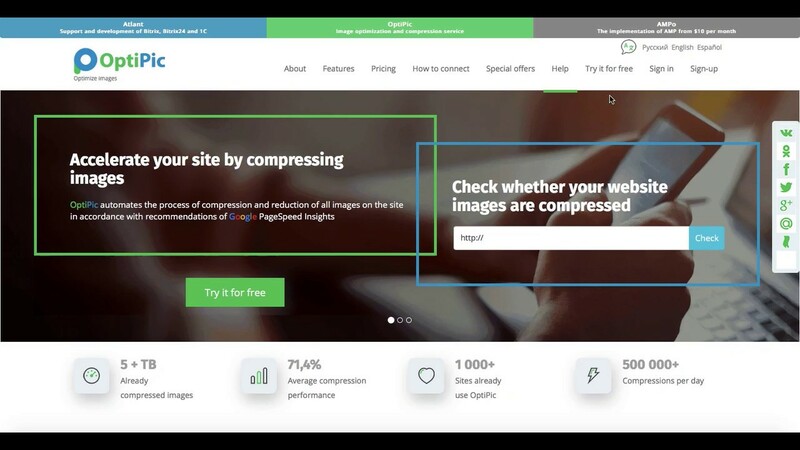 Setting up automatic jpg image compression on your website is a really simple thing - it takes only 5 minutes. Install module to your website. Refund your account and choose most suitable package. Checkout the efficiency of jpeg compression, it is absolutely free of charge and registration. You can manually compress jpg images with OptiPic free of charge. To do this, use web interface.